The ERS customer web portal helps you give customers the web-based options they demand for bill receipt and analysing consumption whilst reducing costs. It helps you provide the information customers need, when they need it. 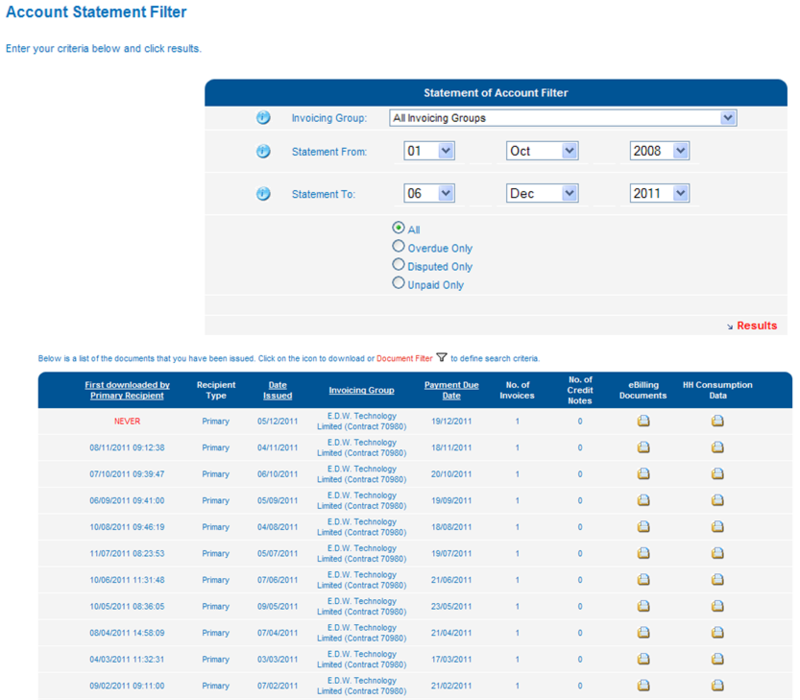 Billing documents delivered to the portal including Invoice Documents, CSV Consumption Data (CSV), and Statements of Account. Where new billing documents are posted to the portal your customers are notified by email. ERS monitors to see if bill documents have been accessed and sends email reminders and schedules user outbound call tasks where they haven't. Your customers also have access to all documentation generated by ERS. General customer support information is provided via the portal such as FAQ, Contact Us, Change of Tenancy Information, VAT, CCL, and Terms & Conditions. Email notification when invoices are ready. ERS ebilling will shortern your supply-to-cash cycle, save your business time and money whilst delivering a great service to your customers.